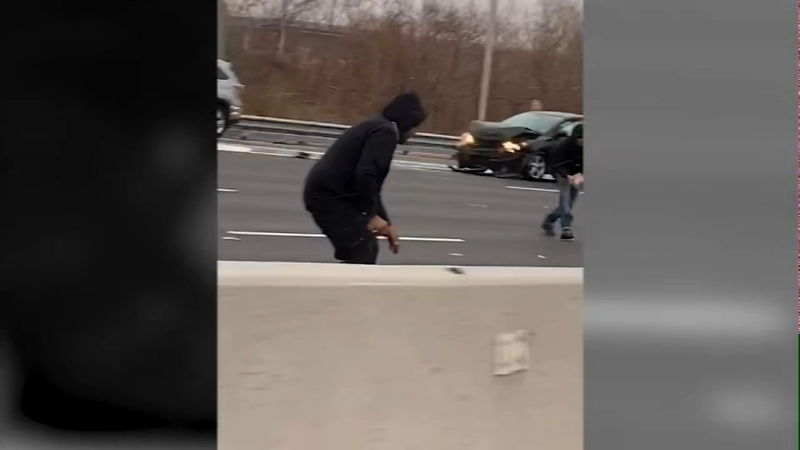 EAST RUTHERFORD, New Jersey (WPVI) -- A large chunk of cash is still missing from last week's armored truck spill on a New Jersey highway, and police are warning people to pony up before they get picked up. East Rutherford police say anyone turning in money won't be prosecuted but that anyone seen on surveillance video taking money who doesn't turn it in could be arrested. About $188,000 remained unreturned this week. More than $500,000 in cash spilled from the Brink's armored truck on Route 3 near MetLIfe Stadium last Thursday. Police say more than $200,000 was recovered at the scene, partly due to the help of Good Samaritans who stopped and helped the driver. More than $100,000 has been returned in the days since then, including one person who bought in about $90,000.